Silver was last week’s best-performing metal, up 0.14%. Gold bounced off its 200-day moving average after dropping to its lowest since December. It fluctuated after the US jobs report came out with mixed signals on low unemployment, but fewer-than-expected jobs added. The United Arab Emirates rolled back a 5% valued-added tax on gold, diamonds and precious metals, intending to maintain the country’s ranking on ease of doing business. The Federal Reserve signaled that it is willing to allow inflation to exceed the 2% goal by adding a reference to the ‘symmetric’ nature of the inflation target. This is significant because it underscores the fact that deviations from the target to the upside will be treated equally as deviations to the downside, and that the FOMC has tolerated inflation below target for a long time. 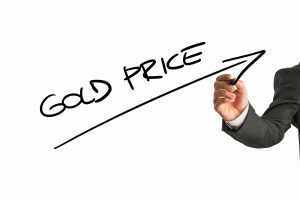 Gold climbed after the Fed said it would maintain a steady course of interest rate increases this year, and as investors weighed the uncertainty of whether or not the US will withdraw from the Iranian nuclear accord. WTI crude oil prices are up nearly 13% year-to-date, and a higher oil price is generally a signal of rising inflation, which is positive for gold. Gold demand in Iran soared to a 3-year high of 9.3 tons in the first quarter. Up for discussion: weaknesses, opportunities and threats with respect to gold and silver markets.